Submitted by lynn on Thursday, March 15, 2018 - 2:04pm. 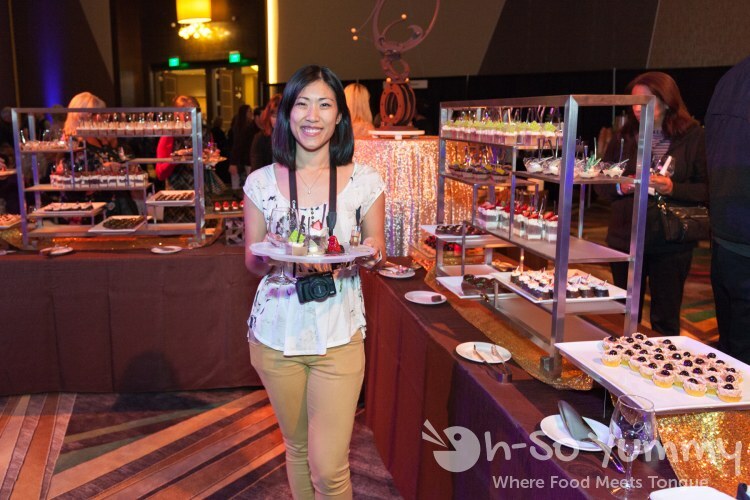 Last weekend, we had the opportunity to check out the Chocolate Decadence at Pechanga Resort and Casino. 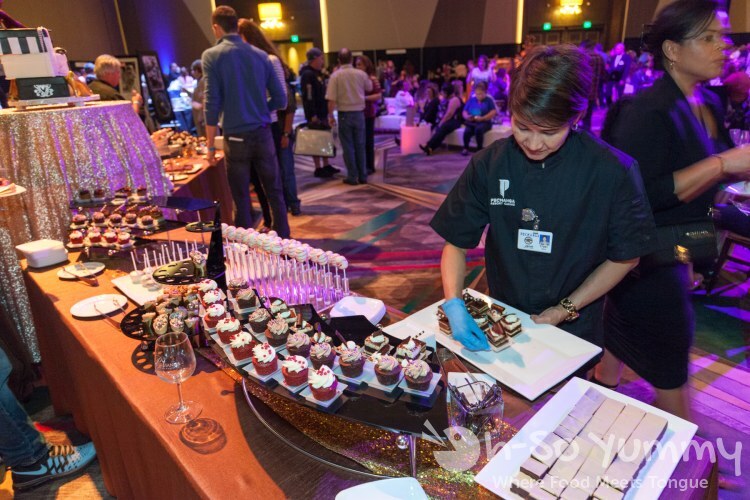 The festival offered chocolates and pastries as well as a sampling of wines, domestic sparkling wines, champagnes, spirits and dessert wines. We were greeted by these beautiful belles offering our first chocolate indulgence. Get ready for the party with your pick of Chocolate Lipsticks or Chocolate Foundation Tubes. 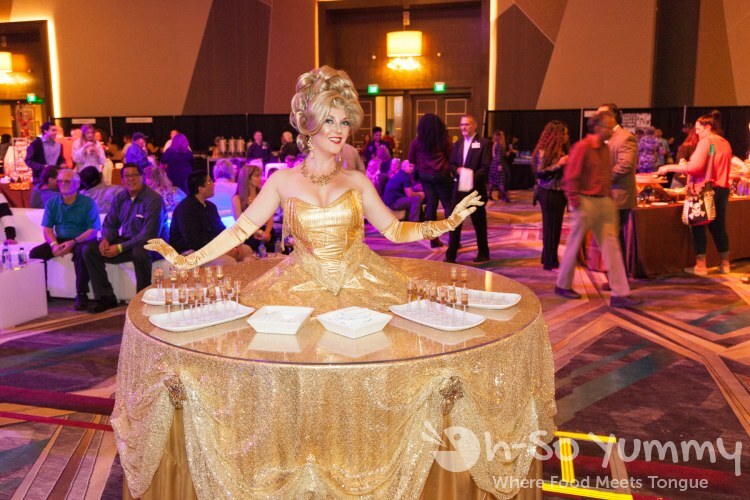 At a nearby dessert station, this chocolate dress reminded us of Xena Princess Warrior! The various statutes made of chocolate were worth checking out! 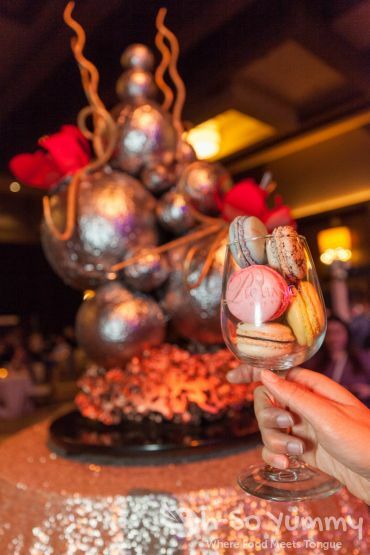 Here's some giant shimmery balls of chocolate and our brilliant wine glass of macarons! Food and wine holders were only $5 and the proceeds supported the local Habitat for Humanity (Inland Valley). 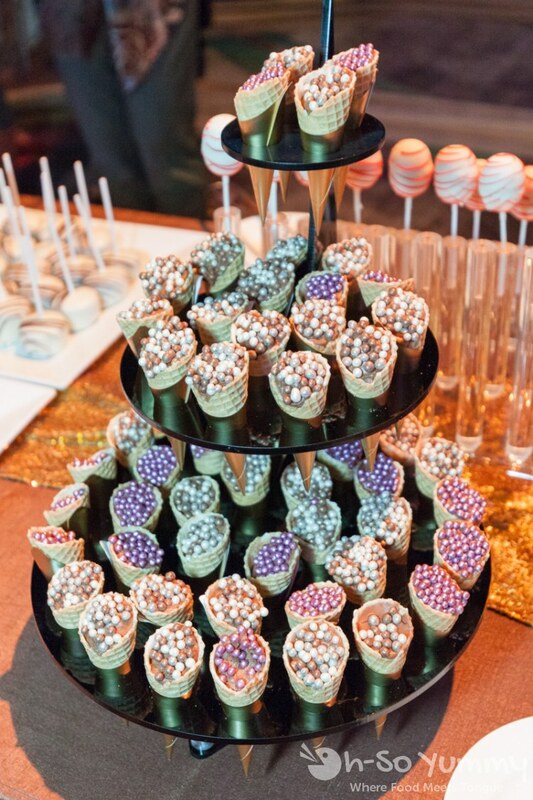 As you can see, it was helpful for keeping all those treats in line! 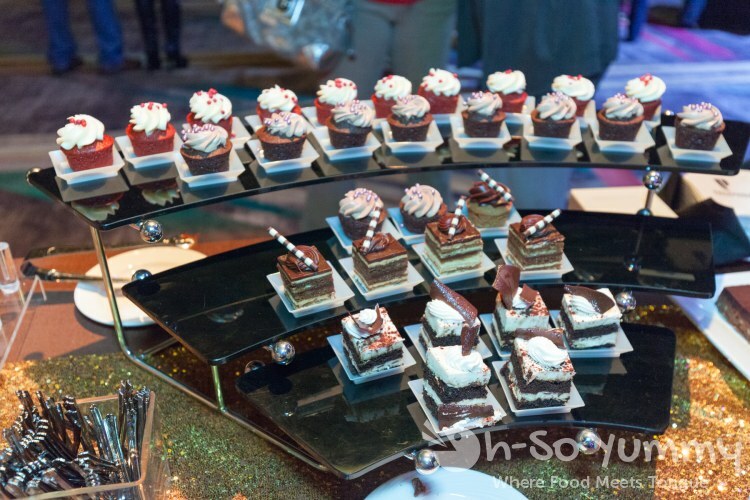 Let's take a look at the delectable treats for tasting! 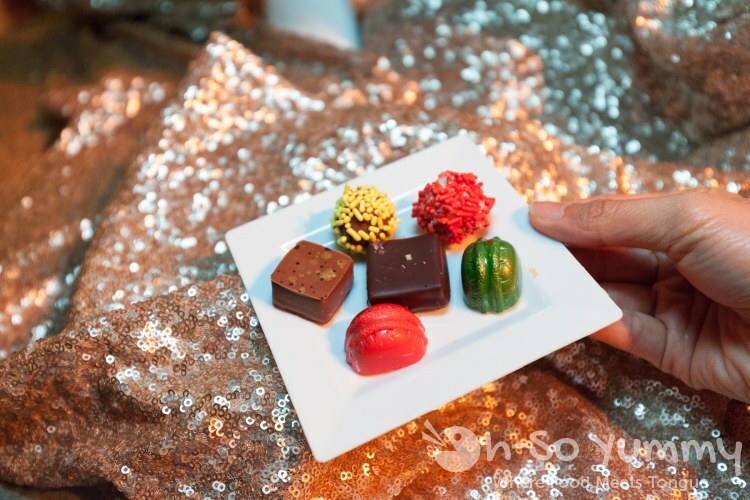 This is just the tip of the iceberg for chocolates desserts! The tastings were unlimited and we were able to sample what we liked in any order. There were no lines and staff kept these tables plenty stocked! 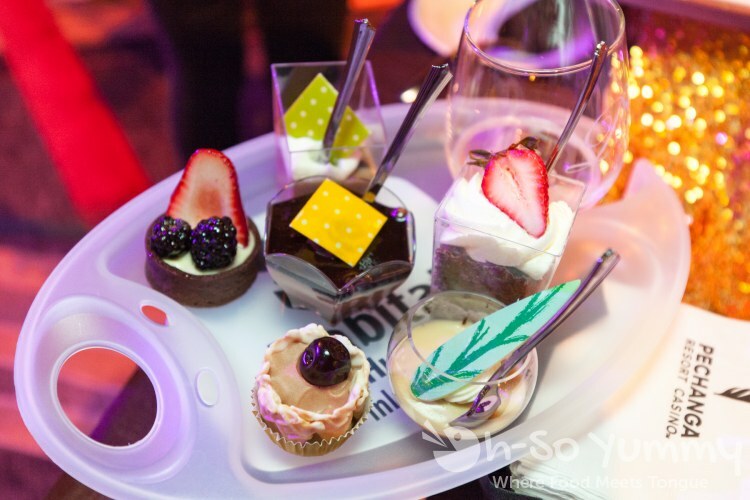 We especially adored the build your own dessert station. 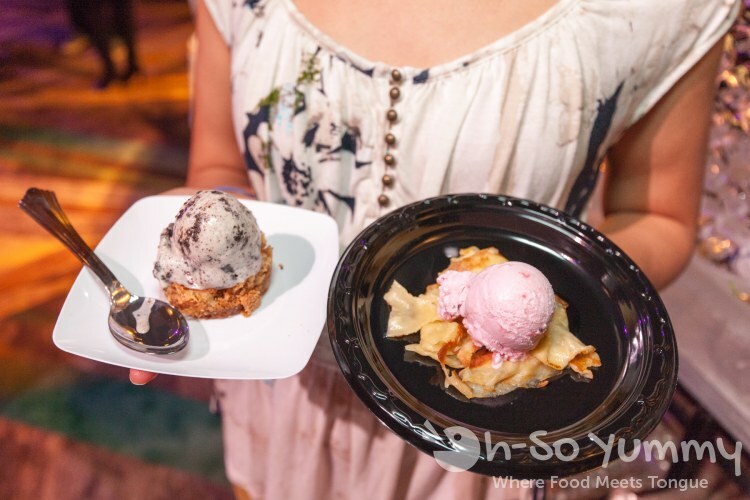 On the left is the pecan pie shell topped with cookies and cream ice cream. On the right is freshly made crepes topped with strawberry ice cream. Both were delicious! My handsome husband Dennis in front of the camera for once! He took all the pictures from this event! 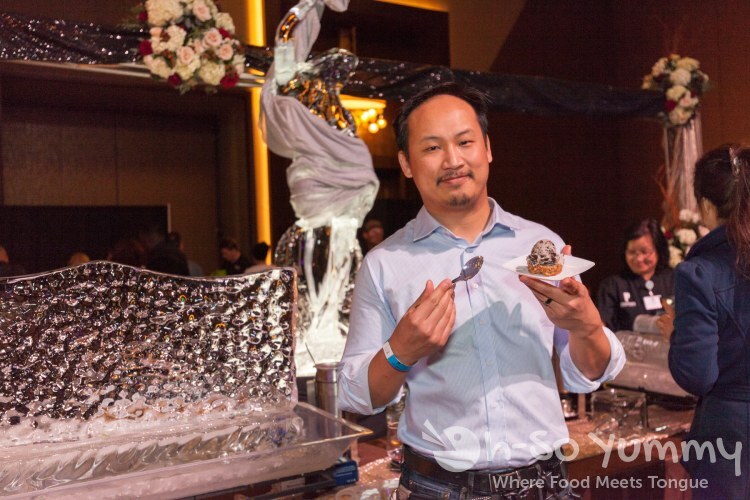 Can you see the ice sculptures in the background? 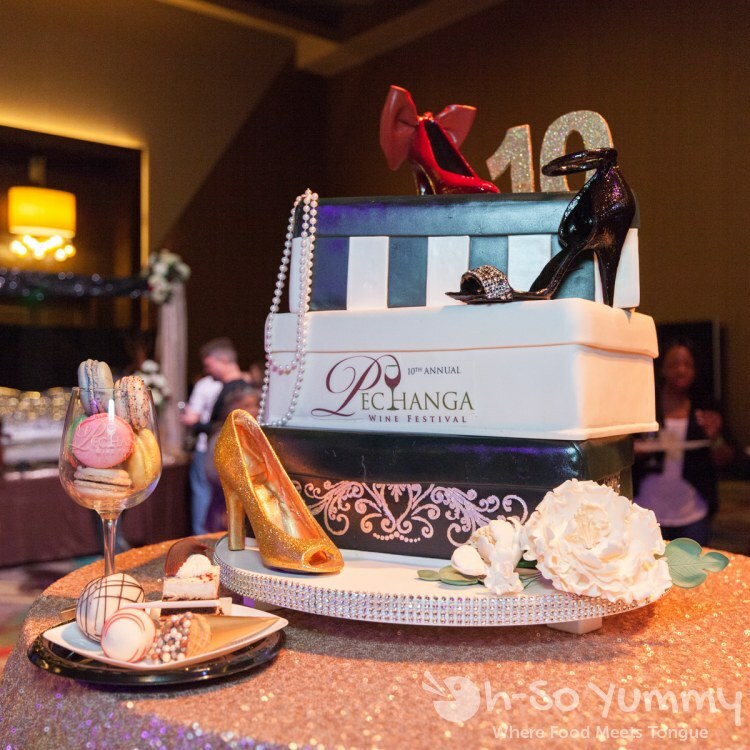 Pechanga really made their big event spectacular! 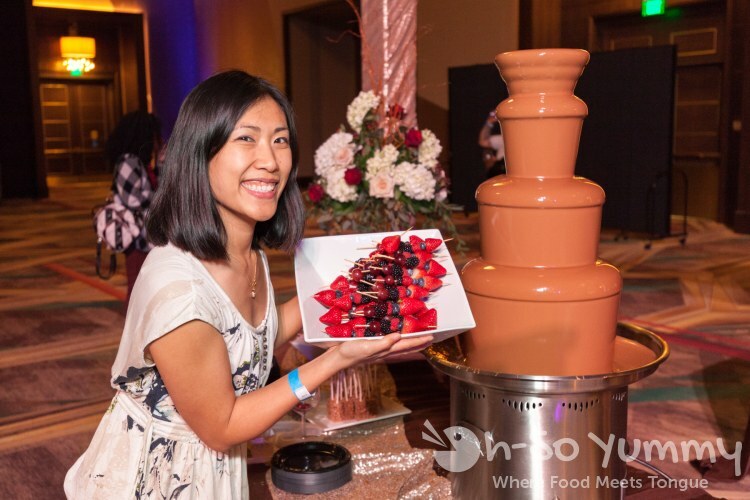 What's a chocolate festival without a fountain! 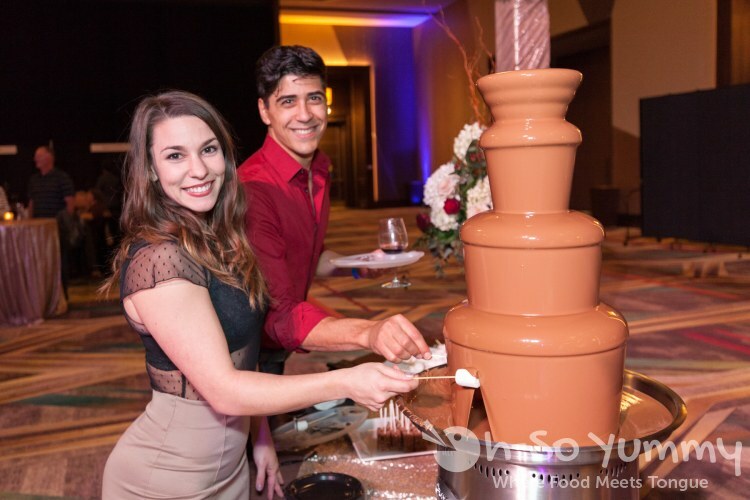 There was both a milk chocolate and a white chocolate fountain to choose from. This couple shows you how it's done. The fruit skewers were my favorite items for dipping! 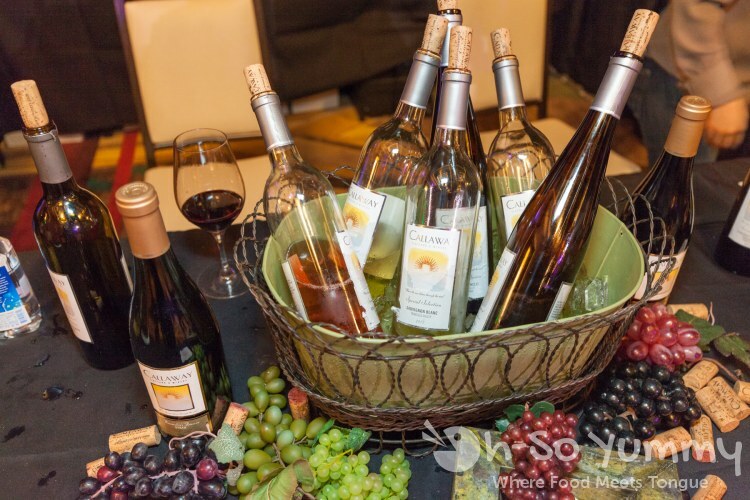 This event had both spirits and wines for sampling. 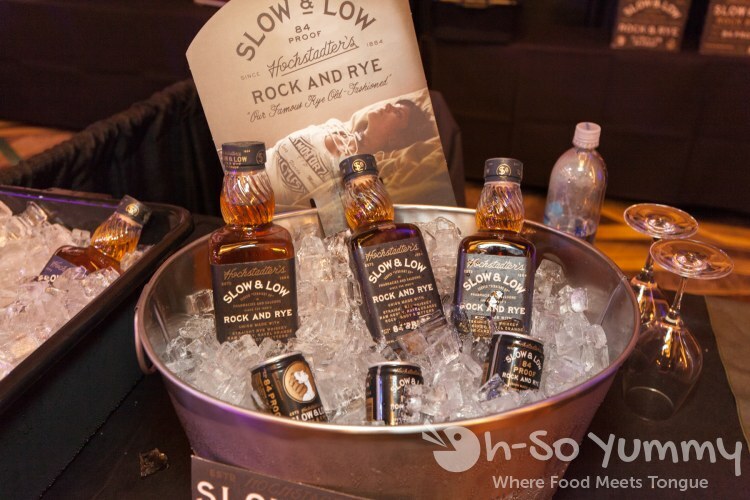 The Low & Slow Rock & Rye was one of our favorites. So smooth and the flavor was awesome. 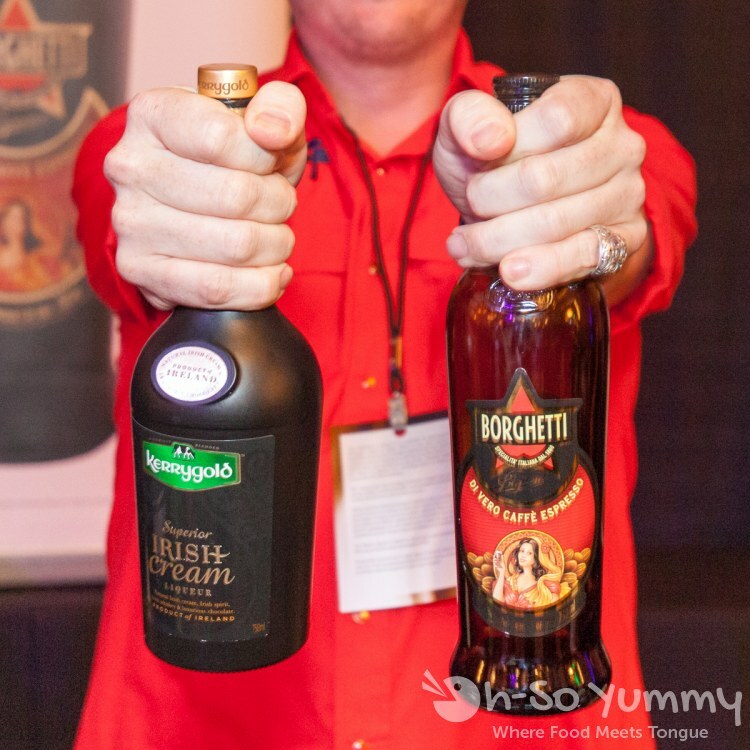 We found our favorite booze rep Bryan (from Taste of Old Town) and he's no stranger to the camera! 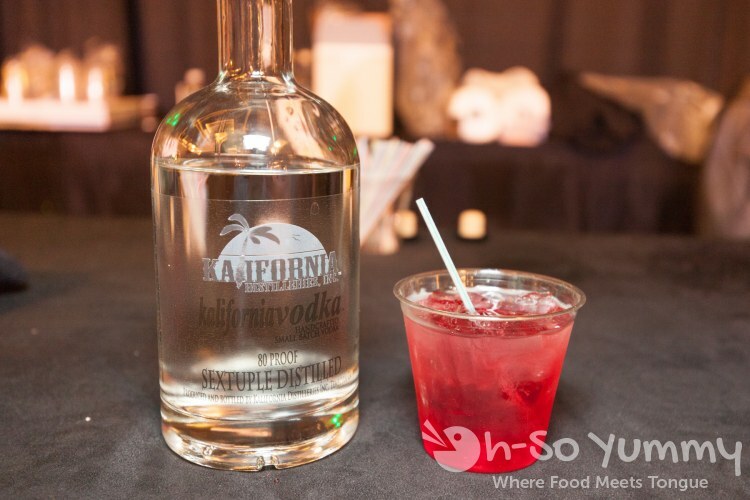 Kalifornia Distilleries was serving a cranberry vodka. 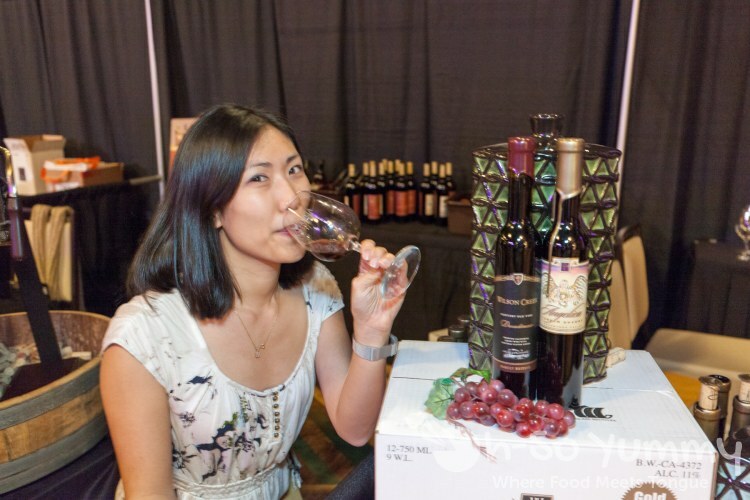 They are the only distillery amongst wine wine wine in Temecula. I was delighted to see Callaway Wines, which has a tasting room in downtown San Diego. More wines! I enjoyed theses Beso Del Sol sangrias! Mad rush to photobomb our picture! 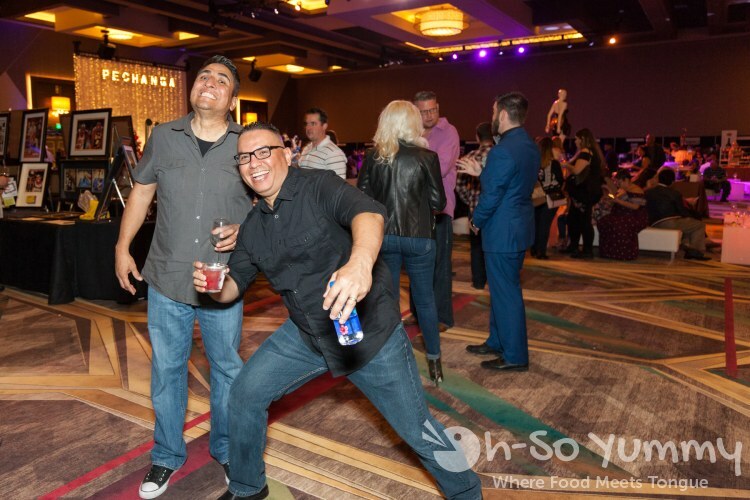 Apparently these guys were having just as much fun as we were! 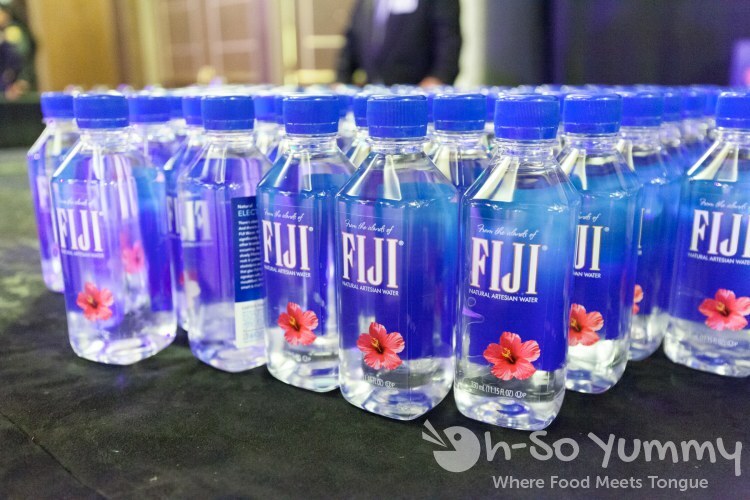 A little bit of high quality hydration from Fji to refresh yourself after the alcohol consumption. There was also a station with coffee and tea for post-desserts. 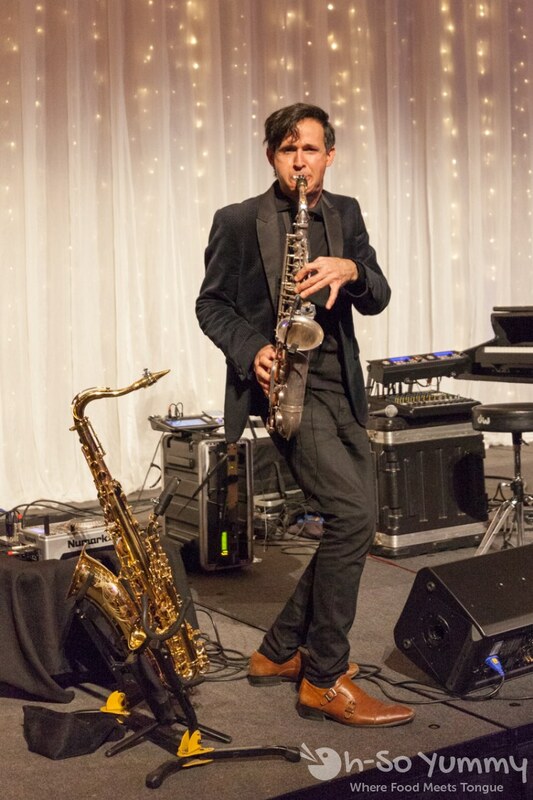 Play on music man! 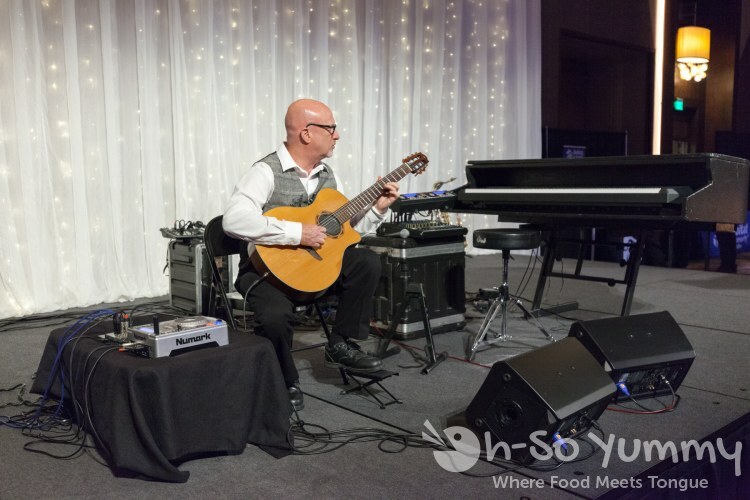 Live performers provided entertainment for the crowds. 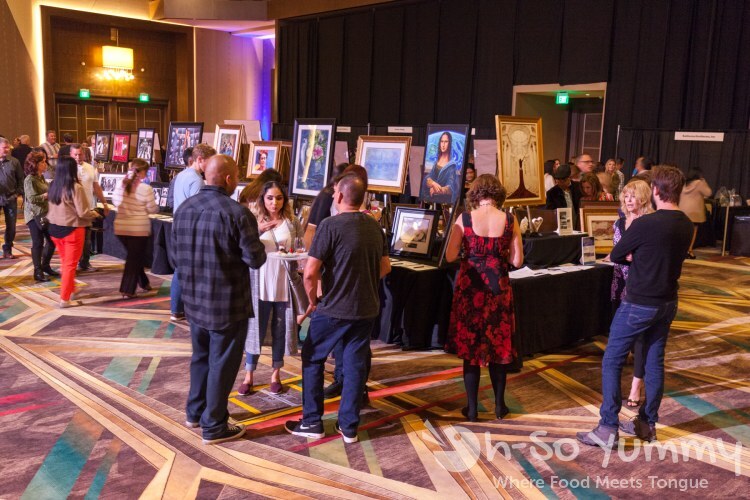 Silent auction to benefit the charity included framed artwork and various knick knacks. 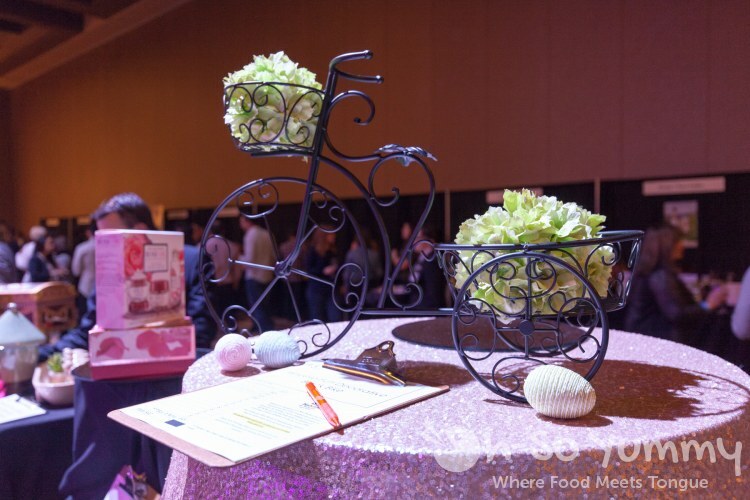 This wire bicycle stand was my favorite item up for bidding! 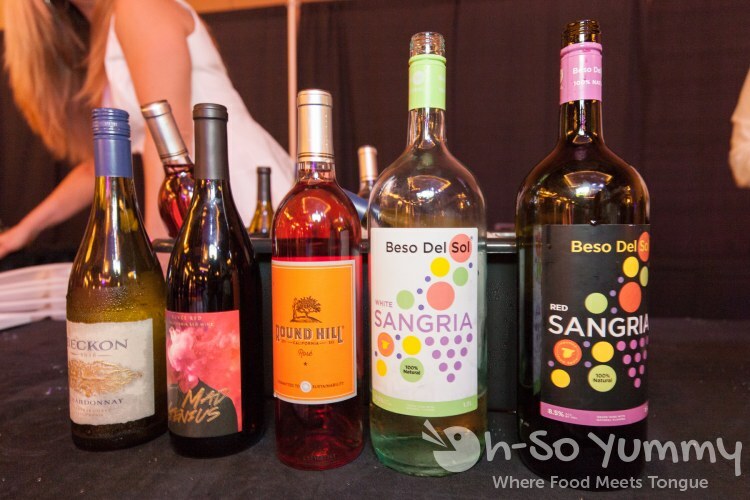 This was certainly an amazing night out to get your sweets fix, explore great wines and spirits, AND benefit Habitat for Humanity. The atmosphere was casual and everyone seemed to be having a great time. Hope you check out the next festival!